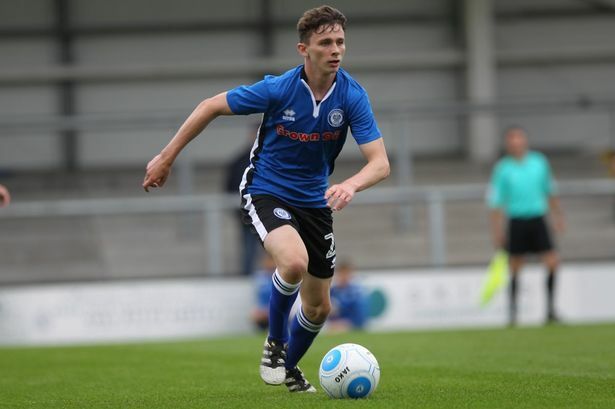 High-profile professionals have been dominating the transfer rumour headlines recently, however subject to a report published by ESPN, Arsenal and Premier League adversaries Chelsea are both poised to snag Rochdale AFC’s 16-year-old prodigy Daniel Adshead, who has successfully earned himself first-team appearances during the current campaign. Due to Adshead’s tender age, the Gunners and the Blues will not be allowed to lodge a bid for the teenager until the summer as he’s still classified at schoolboy status, although it’s believed that the two tailing parties have already sent scouts to monitor his development. Adshead is set to be hot property come the end of the season, and in a bid to gain a lead on any other potential suitor, Arsenal and Chelsea will supposedly endeavour to spark and seal an agreement with the League One outfit over the fledgling starlet’s future. With 5 appearances in the EFL Trophy this term, Adshead made his senior introduction for ‘The Dale’ against domestic opposition Bury FC on September 19th, 2017, an outing which made him the club’s youngest ever debutante at the age of just 16 years and 17 days. As well as boasting the gong for being Rochdale’s all-time youngest competing squad member against Bury, the budding midfielder also notched himself an assist against ‘The Shakers’ which helped his employers win 4-0 on the night, proof that he’s ready for the challenges first-team football throws up on a weekly basis. It’s also said that Adshead had been training with the first-team since the age of 14, and with confidence and experience being fundamental to any professional’s progression, the teen’s exceedingly early entrance into the life of a serious footballer will only aid his temperament, maturity and above all career aspirations, especially with top-flight outfits supposedly watching eagerly from the terraces. Share the post "Arsenal & Chelsea poised to snag 16-year-old Rochdale prodigy in summer"